Brianna Gluszak is a sculptural glass artist from Calgary, Alberta, Canada. She recently finished a body of work at KADK Denmark's Design School, on Bornholm, Denmark. 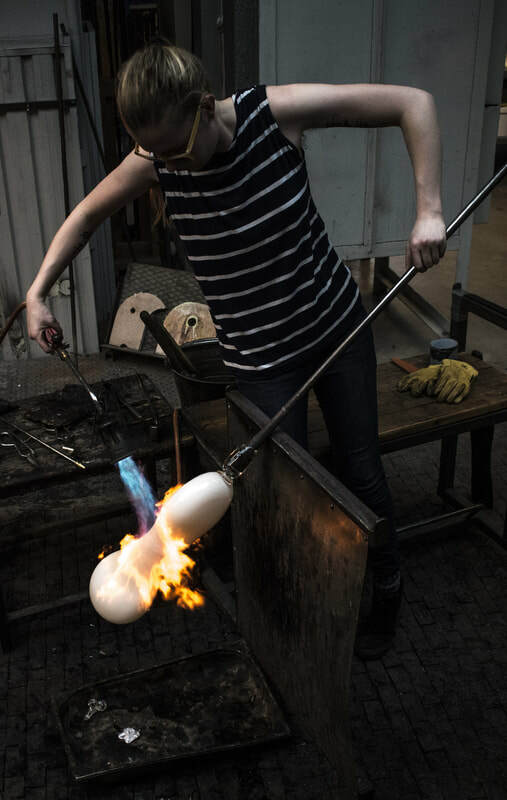 She has worked and studied internationally including at The Pilchuck Glass School, in Washington, The Corning Museum of Glass, in New York and Northlands Creative Glass in Lybster, Scotland. Her current work explores themes of relationship through an exploration of pattern and form. Looking and observing the world around me is a fundamental principle of my artist endeavors. Focusing on the intricacies of everyday life, relationships and how visual information presents itself. This act of looking in combination with observational drawing have become an act of design within my practice. Thinking and focusing on the world around me, has lead me to many types of explorations within my work. From focusing on nature; to thinking about relationships. My newest works incorporate imagery collected from wandering through life in Nexø, Denmark. Expressed in objects that begin a conversation about what different types of relationships exists in the world.